For somewhere so elegant, Victory Mansion seems surprisingly keen to get you messy. The venue's made an appearance on our most beautiful restaurants list by virtue of its art deco loveliness, all lacquer-and-wood and barstools with sinuous curves. But with the arrival of the new Ta-Ko menu, that beauty comes with a heightened risk of mess. Big mess. Less a risk than a certainty, actually, unless you stick solely to their drinks menu. Granted, that'd still leave you with plenty to be — elegantly — excited about: their cocktails are interesting, delicate and slightly off-beat, a bit like the venue itself. Our Randle McMurphy is a pink coupe of coconut rum, campari and a bright hit of kaffir lime sherbet, and there are enough literary-themed oddities on the list to keep you busy for months of visits. Still, you'd be missing a trick not to explore their tacos. Like their previous, small plates menu, this one's a mash-up of odd, incongruous-sounding combinations that make perfect sense as soon as they hit your mouth. Every taco marries Asian edges with Mexican or European ones — wild blackberry sriracha with beef short rib, avocado with tamarind ragu — and pickles and relishes pepper the menu. The fermented yellow bean leeks taco, with sweet potato, halloumi and mustard, is a good example of the inventiveness on offer to vegetarians. 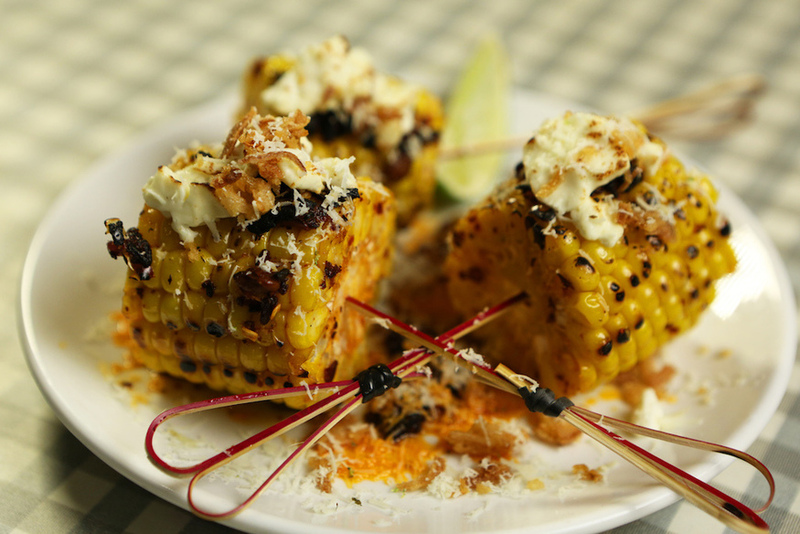 In fact, the vegetarian dishes are where the most exciting flavours are happening, with a side of humble corn on the cob turned by some dark magic (or at least some gentle charring, and a lot of chilli and feta) into one of the most exciting things we eat here. It's not totally even. The cauliflower and black bean taco has a nice, smoky tang where the tamarind meets the charred edges of the cauliflower, but could do with more of the pepper mayo to make it a bit less arid. Edging out all other tacos here is the charred river trout, with the deep warmth of its smoked aubergine nahm prik and a dollop of simple, citrusy genius from the lime labneh. And then there's the MSG Fries. 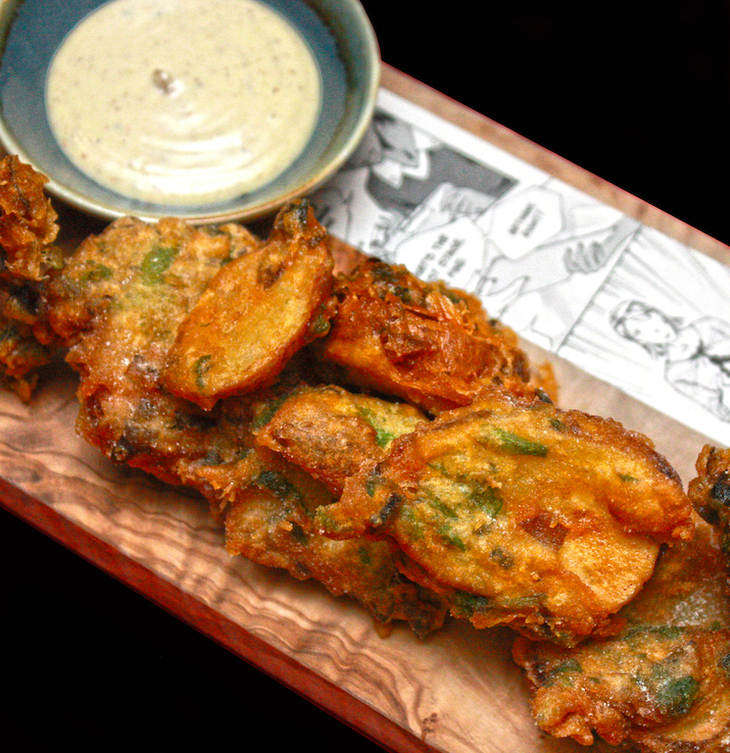 Thick slabs of potato, deep-fried in nori batter, scattered with salt and vinegar powder and served with a bowl of Cambodian kampot pepper mayo — like the essence of chip shop chips. The MSG's there (we think) in spirit only, the name being a nod to the punch of umami and potatoey heft of each mouthful. And everything's surprisingly good value. No taco or side is more than £4, and on a weekend brunch visit that £4 gets you two-for-one on combinations like pomegranate glazed bacon, with salted duck egg relish and avocado. Victory Mansion, 18 Stoke Newington High Street, N16 7PL.